The first serious proposal for a museum of Tewkesbury’s history was as a memorial for Queen Victoria. The town chose a park by the river instead, but the idea didn’t go away. In 1905, a Museum was opened in the old fire station in Station Street, at a cost of £10. The main exhibits were geological samples and examples of taxidermy. Harold Stacey donated a collection of curios from West Africa. Captain W.H. Stone donated a collection of shells and minerals from the coal mines of Australia. It gave the impression of being a ‘Cabinet of Curiosities’ as much as a museum of local history. The venture was unfortunately short lived. The lack of staff and the lack of any heating meant that there were no visitors. It closed in 1906. The geological exhibits were given to the Grammar School, the remainder displayed in the Town Hall. Tewkesbury Museum went off the agenda for forty years. In the fifties, a Museum became a serious ambition of the Council. Several empty buildings were surveyed, but the cost scuppered all plans until in 1959 a deal was done to purchase 64 Barton Street. The building was purchased for the town by Mr Martin Cadbury on condition that the front building was used to open a museum. Tewkesbury Museum was opened on Friday 11th May 1962 by Sir George Dowty. The Town Clerk, Ken Smale, was Honorary Curator. From the outset he engaged with the Ashmolean, and took items on loan from Worcester Museum, but he was constrained by finance. Tewkesbury couldn’t afford professional curatorial help, and no matter how he tried, squaring the circle was impossible. A real stalwart of the Museum, Edna Linnell, arrived on the scene at about this time. She, and later her husband Brian, became the backbone of the museum; expert and diligent local historians and for many years the curators. By 1968 some money had been found and discussions about Cheltenham managing the Museum were under way. The Cheltenham’s curator’s proposal was to treat 64 Barton Street as a period home, furnished in the style of the seventeenth century. The plan was to take items on loan from other museums and galleries, but particularly from Cheltenham. Tewkesbury approved the plan and furniture was obtained from the V and A, and pictures from the National Portrait Gallery. Tewkesbury Museum reopened with two furnished rooms at Whitsun 1969. 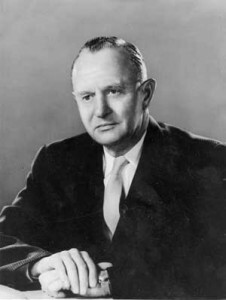 In the early 1970’s, Cliff Burd’s name appeared as a Trustee. A Councillor at the time, he remained a Trustee, and benefactor, until his death in 2016. Tewkesbury Museum began to thrive, entirely through local voluntary help and the increase in interest in the past occasioned by 1971; the 500th anniversary of the battle of Tewkesbury and 850th of the consecration of the Abbey. There were 14,000 visitors to the Museum, compared with 1,500 in 1967. Things were looking up! This success was short-lived, though, as the complications introduced by local government reform in 1974 almost led to its demise. The ancient Borough of Tewkesbury was dissolved and incorporated into the new District Council covering North West Gloucestershire. The first Clerk for the new Council persuaded Councillors that it should be named Tewkesbury Borough and he transferred as much of the old Borough as he could to the new Borough. This included an attempt to transfer the Museum. After some legal advice, the Museum reverted to the Town Council’s control, but by then it had closed to the public and its contents dispersed for safe keeping. Much was never seen again. In 1980, the museum re-opened with a new Trust deed, and new Trustees. Attempting to recover the collection proved difficult, and many items have disappeared altogether, unfortunately. Less than a year after opening, disaster struck again, this time in the form of structural problems in the building, which was emptied and closed yet again whilst it was made safe, before reopening in 1981. By 2000, the Museum had again lost its direction, and, with support from the Borough Council, a professional curator was employed for some years. This made a considerable difference, and a much wider range of activity was embarked on. Though the financial situation has been precarious for years, on all the other measures the Museum is improving. Our visitor numbers increase year on year, the role as a repository of the town’s history is growing stronger and accreditation against the national Museum standards has brought a new role as the place of deposit of archaeology found in the area. The Museum’s volunteers and supporters are going to be important for the next phase of the story; reaching financial stability without grants from the Town Council. This will be a long and challenging phase.